The people in what remained of Pakistan were shocked beyond belief. For days they had been told that everything was normal in the eastern wing, despite the BBC giving a contrasting picture. As always, the reaction from those who mattered was that BBC was an Indian agent, presenting a false image of the situation. No wonder violent protesters came out on the streets and burned down then president Yahya Khan’s house in Peshawar after feeling betrayed due to the surrender. Most of the Pakistanis who were born after 1965 probably don’t know that our country had a province called East Pakistan, where the Pakistan movement started with the birth of the Muslim League in 1905. The people of that province were as good of Pakistanis as we in West Pakistan were, yet to our eternal shame, they were denied what was rightfully theirs. We made fun of them, of the way they spoke, of their language and attire. Most of the income for Pakistan was contributed from East Pakistan; however, the money was spent to develop West Pakistan. Despite all of this discrimination, we were surprisingly astounded when we found out they didn’t want to remain a part of Pakistan. To be honest, the only surprising thing in this should be that Pakistan was even able to remain united for 25 years before being dismembered. There are many versions of why we lost East Pakistan, depending on who you ask. However, one thing is for sure: it didn’t happen overnight. It took many years for the people of East Pakistan to decide that there was no future for them in a united Pakistan. Perhaps it all began when Muhammad Ali Jinnah, despite the hostility of the students of Dhaka University he was addressing, insisted that “Urdu and only Urdu” would be the state language of Pakistan. This was strange, since the Quaid himself could only speak broken Urdu and that too with great difficulty. I strongly suspect Jinnah wanted Urdu as the national language because he was under pressure from the feudal lords of West Pakistan to do so. The only other reason would be that he did not know that the vast majority of people in East Pakistan didn’t speak Urdu or even understood it, which seems highly unlikely. Thus began the process of poisoning relations between the two parts of the country. The Bengali speakers launched a movement to have their language recognised as the state language along with Urdu. After many deaths, they succeeded to have their demand accepted in 1956. But the rot had begun. It didn’t help that the country had no constitution before 1956. By a peculiar twist of logic, despite East Pakistanis comprising the majority (56%), they were allowed to have the same number of seats in the assembly as the people of West Pakistan. The first martial law in 1958 (which was imposed by a general belonging to West Pakistan) together with the fact that East Pakistanis were not as many in number in the central government and the services increased their feeling of isolation. When it was time for Ayub Khan to resign, the Constitution required that he should hand over power to the speaker of the National Assembly (Abdul Jabbar Khan, a Bengali). However, Ayub did not do so and instead asked the then Army Chief (Yahya Khan) to take over the reins of the country. This further alienated the people of East Pakistan, adding to their bitterness of being neglected. Bhutto claimed that Rahman’s demands for maximum autonomy, called the Six Points, would weaken the country. When president Yahya called Rahman the future prime minister of the country, Bhutto was incensed. He questioned how a man who was considered to be a traitor recently was now being touted as the prime minister. 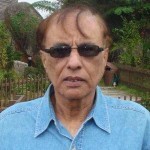 According to Dr Moonis Ahmer, Rahman asked the military authorities twice in March 1971 to protect him from the diehard members of his party as they wanted him to declare independence. As for the 1971 war, our brave soldiers could have defended Dhaka for more than three months, if the government had stationed more troops in that city. But the army was spread out throughout the province, and despite having enough ammunition and weapons to last them for many months, there was no option but to surrender. Again, we lost the opportunity to save the country when Bhutto reportedly went to the United Nations but deliberately confined himself to his hotel room for two days (it is widely believed that he did this to allow the Indian army to have more time to reach the gates of Dhaka). If he had really wanted to save Pakistan, he would not have dilly-dallied, but would have accepted the Polish Resolution calling for a ceasefire (instead, he tore it up and walked away). From the looks of it, Bhutto was mainly responsible for the great tragedy. In fact, when you think of it, all the problems we face today are a direct result of what he said and did after the 1970 Elections and after he assumed charge of the country in 1971. He said that he would build a new Pakistan from the ruins of the old one but instead caused immense damage to the country. But that is a story for another time. – Idhar hum, udher tum was attributed to ZAB but its origins lay somewhere else. Great and very informative article especially for all those like me who were born way after this tragedy. We also came to know all the consequences which resulted in this painful incident. We all came to know the reality of some characters whom we are always taught as heroes. 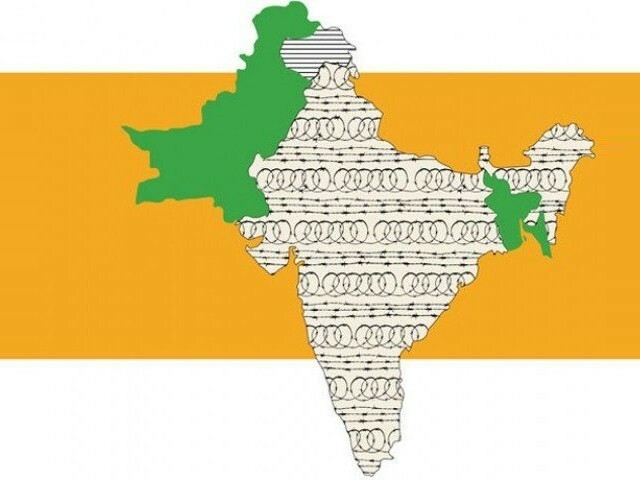 To my knowledge the concept of a Banladesh first arose about in ’46 ….. but for obvious reasons the leaders at that time gave priority to the concept of ‘ partition ‘ on ground of religious majority thus allowing Pakistan to come into being. The fact that a country was in two halves divided by a thousand plus miles and a people who were different in many respects ( language, culture etc ) prompts me to say that separation was inevitable. When the author argues that ZAB who badly lost the 1970 elections wanted secession but Sh Mujib the winner of a landslide victory did not, he does sound plausible. However had it been so the dictator who ruled with his army should then have moved swiftly against the secessionary traitor in West Pakistan. So then why did General Yahya Khan despatch troops from West to East Pakistan, attacking unarmed citizens and arresting their elected leaders in East Pakistan including the rightful PM instead? Blaming Bhutto for East Pakistan’s secession because of the political statements he made when he was only a powerless, defeated politician holds very little water. If you ask Pakistanis a theoretical question: Would they like Bangladesh to be part of Pakistan again, if requested by Bangladesh. The answer would surprise most because it would be an overwhelmingly no. Here are the reasons. Whoa! sterry! Who said Hindustani Occupied Kashmir belongs to Pakistan? They have a right to choose what they will do. Maybe a separate country of their own. Maybe they will,… by joining with Azad Kashmir of Pakland. the Sons of the Soil. Even after 70 years. There is no letup. Muhajjirs are second class citizens in Pakland. You all live in an enclave, called Karachi. You can say it may well be the largest ghetto of Asia, in a sense of speaking. Even though Karachi is the financial and industrial hub/engine of the Land of the Pure. …..kiunkeh desh-prem se bada koyi dharam nahi aur matar bhoomi ki raksha se bar kar koyi karam nahi……! Great people of former East Pakistan proved this dharmic wisdom in fact, that the love for Matar Bhoomi – Motherland and Matar Bhasha – Mother language, is higher than the imported and imposed religion and language of Bedouins, Persians and Turks and named their newborn country Bangladesh. Their beautiful national language is the thousands of years ancient Bengali, their national anthem “Amar Shonar Bangla” -My Golden Bengal is in Bengali, composed from the great Bengali poet Rabindranath Tagore Sahib. Their national anthem is not about any praise for the religion of Arabs or Persians, rather the deepest love and appreciation for their Matar Bhoomi and its wonderful ecology e.g the Mangos and Banyan trees! This was a doomed union to begin with. do you think institutions based 1200 miles away can effectively govern a province ? Read read your original comment ” No use now ” ……. which prompted my reply. If you had been more clear possibly I would worded my reply differently. The secession happened exactly because lessons were NOT learned by the then west pakistani establishment. If they had learned about why the bengali language agitation happened in the 1950s, then 1971 would not have happened.